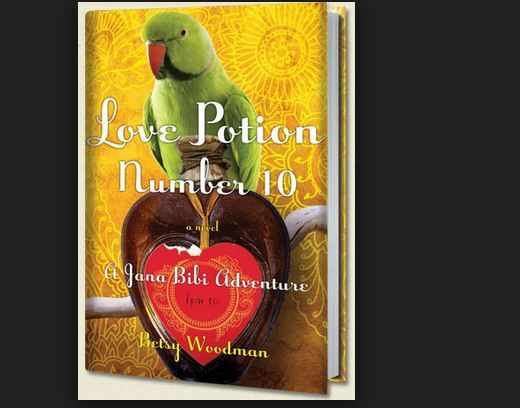 Random House India has announced the release of the second book by Betsy Woodman this October. LOVE POTION NUMBER 10. It is the second book in the Hamara Nagar series followed by the very well acclaimed Jana Bibi’s Excellent Fortunes. In the newest Jana Bibi adventure, Hamara Nagar is rocked by an espionage scandal. Now that the dust has settled and the town is safe from the threat of being flooded by a planned government dam, all eyes are on Jana and her feisty parrot, now the target of a potential kidnapping— ‘birdnapping’—that puts Jana and her household on edge. Jana now also explores her newest interest, dream interpretation–and sets about to become a dream interpreter–while the repercussions of her fortune-telling, that turned turned Hamara Nagar into a tourist destination, have life in the town alternating between bucolic serenity and mild chaos.Set in the 1960s,the novel is eclectic with its cast of loveable characters, gentle wisdom and good cheer, this charming tale of love, adventure and intrigue is sure to lift the most cynical of spirits. Betsy Woodman, spent ten childhood years in India, studied in France, Zambia and the United States, and now lives in her native New Hampshire. She has contributed non-fiction pieces and several hundred book reviews to various publications and was a writer and editor for the award winning documentary series Experiencing War.